The first frame of the 2009 summer blockbuster season saw nice guys finish first, and second. On Thursday night Hugh Jackman was on The Daily Show, Matthew McConaughey on The Tonight Show, both playing the adoring dad with anecdotes about how cute and flirtatious their young sons are. On Friday moviegoers started clogging the plexes to see these courtly musclemen in their signature roles: Jackman as a lupine superhero, McConaughey as a stud in need of fixing. 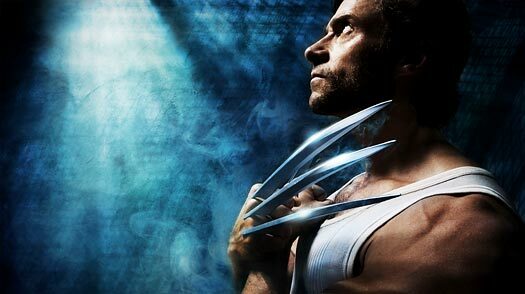 X-Men Origins: Wolverine, a prequel to three Marvel hits, with Jackman serving this time as star and producer, grossed a burly $87 million at the North American box office. McConaughey’s Ghosts of Girlfriends Past earned $15.3 million. The totals nearly replicated those of last year’s first May weekend, when Marvel’s Iron Man took in $98.6 million to $14.8 million for the Patrick Dempsey romantic comedy Made of Honor. Shrugging off tepid reviews, Wolverine proved that Hugh is huge, movie-starwise, as long as he carries cutlery between his knuckles. In its first two days’ release, it easily outperformed the total domestic take of Jackman’s Australia, which made just $50 million here, though it pulled in a very honorable $162 million abroad. Ghosts made a bit less in its opener than McConaughey’s movies usually do, perhaps because the word was out early that it sucked swamp water, but also because another date movie had, in industry parlance, long legs. Namely, Beyoncé’s. Her loving-wife-confronts-crazy-stalker-lady thriller Obsessed, last week’s No. 1, finished a strong third with $12.2 million. The movie has now earned in 10 days what another musical star’s solo effort, the Zac Efron 17 Again, grossed in 17; it took fourth place. Audiences ignored the weekend’s other wide debut, Battle for Terra, an animated space epic in 3D that made just $1.1 million and didn’t crack the top 10. That could be because another 3D science-fantasy cartoon, Monsters vs Aliens, was still raking in the bucks; it finished a sturdy fifth. DreamWorks’ 3D comedy has been in release two weeks longer than any other film in the top 10, lost more theaters this weekend, yet suffered the lowest drop in attendance of all the holdovers. Even the Supreme Court, with or without David Souter, would be unanimous in finding for DreamWorks in the case of Monsters v. Aliens v. Every Other Movie That Came Out Early This Year. The robust numbers enjoyed by new and older movies shows that Hollywood knows how to please a recession audience. Though fewer studio films were released in Jan.-Apr. 2009, the North American box-office numbers rose 16%, and attendance 14%. As Gitesh Pandya notes on boxofficeguru.com, “the number of $20M+ openers rose from 11 last year to 18 this year while the amount of films crossing the $100M mark skyrocketed from just one in 2008 to six in the current year.” Pandya points out that the summer biggies should benefit from the success of off-season fare, since moviegoers get bombarded with previews of coming attractions, the previews often tailored to the genre of the picture playing. No warm-weather film is going to tiptoe into theaters; if a major-studio movie is opening in the next few months, you’ll have known about it. For example, next week’s Star Trek, J.J. Abrams’ re-spiffing of the 1960s TV series. Jackman-Wolverine may be able to defeat evil geniuses, lab-made supervillains and his nasty half-brother, but he’s unlikely to withstand the challenge of a teenage James Kirk. As for Ghosts of Girlfriends Past, it will disappear into the ether, and McConaughey can go back to being tickled by his son.